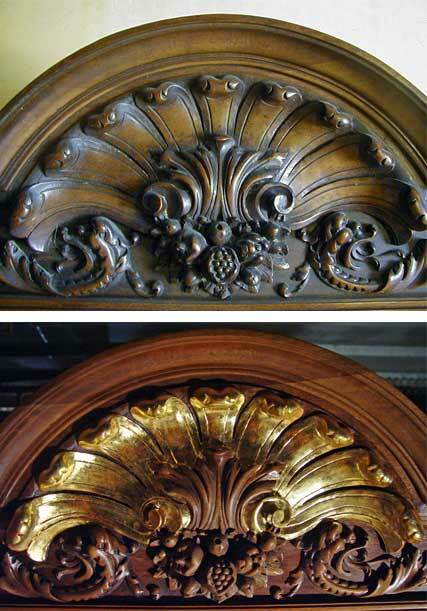 Sometimes all that needs to be done to a piece is to clean off the old paint, lacquer, polish or stain. 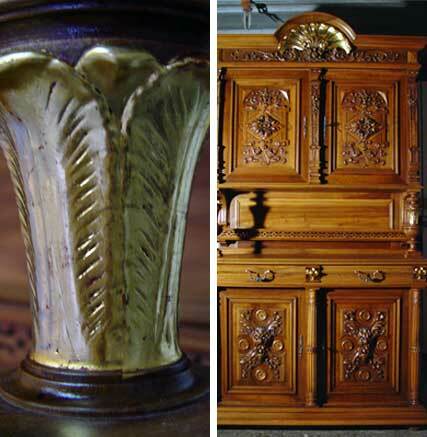 That was largely the case with this magnificent cabinet. 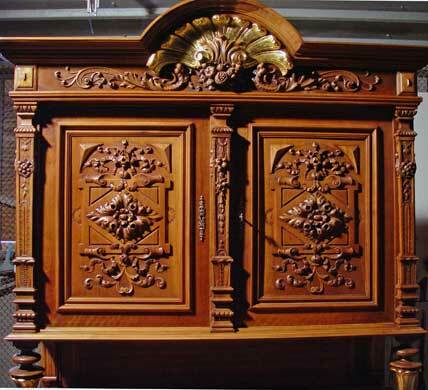 Built entirely from European walnut and meticulously carved, it took almost 3 months just to clean. 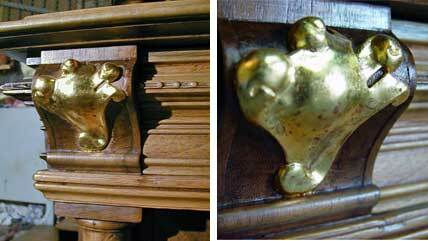 Several carved pieces were created and inserted to replace missing or damaged details, and clear French polish was applied. To top it off the client requested gold leaf be added in several places. 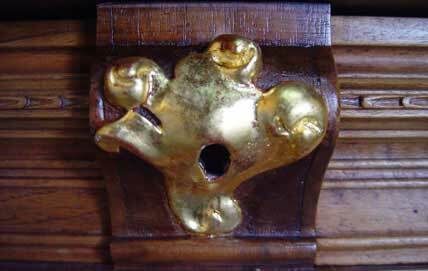 The traditional water gilding method was employed, using rabbit skin glue, gesso and bollo.